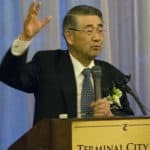 Former Deputy Chief Cabinet Secretary to the Government of Japan, Mr. Teijirou Furukawa A Ten-Year Outlook on Japan’s Future & How Will Japan Interact in the World Forum? 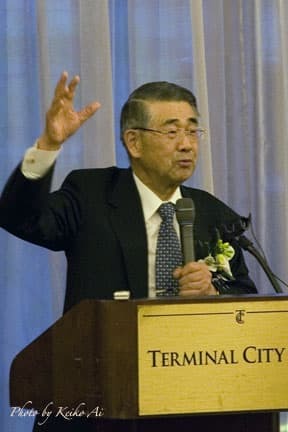 – Longest Deputy CCS in history; Supported five Prime Ministers (Murayama, Hashimoto, Obuchi, Mori, Koizumi) during his 8 years and 7 months in office. 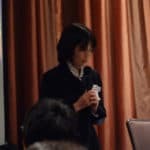 – Following the collapse of the bubble economy, emerged as a key leader by aiding the Japanese Government through political, economic and social hardships faced by the country. – Highly regarded by the Prime Minister’s office as a “Noted Mediator” with deep insight and powerful leadership skills. 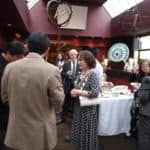 On, October 10th, 2012, we had an opportunity to mingle with our friends: Consul Naomi Namatame & Consul Yoshiyuki Tomi, Mr Noriyuki Uchiya (CBSA) & Mr Keisuke Tsujimoto (JOGMEC) at Minami Japanese Restaurant. 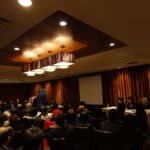 On August 2nd, 2012, the JC-COC’s Ninth Annual General Meeting was held at The Coast Plaza Hotel & Suites. 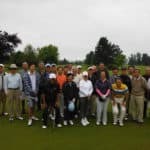 On Sunday, July 15th, the Japan-Canada Chamber of Commerce and Vancouver Japanese Business Association (Kiyukai) co-hosted the Annual Joint Golf Tournament, which was held at Meadow Gardens Golf Club. 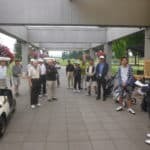 A beautiful day of golf, followed by a dinner was enjoyed by the approximately 30 entrants who participated in this year’s event. 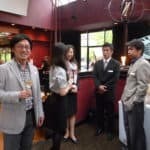 On Tuesday, May 8th, The Japan-Canada Chamber of Commerce hosted a Spring Networking Night held at O’Doul’s Restaurant & Bar. 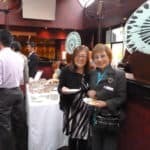 Attendants included new members to our association as well as friends and associates of members. 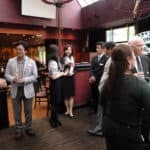 With appetizers and drinks served, this networking night provided a great, friendly atmosphere for our members and associates to enjoy. 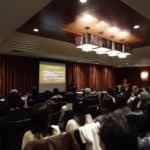 On March 8th, Association Professor Ms. Etsuko Kato, who has examined Japanese immigration trends in Canada for many years, spoke on this subject. 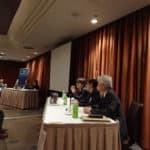 The lecture was followed by a Panel Discussion with panelists representing several different generations of Japanese-Canadian residents based in Vancouver. 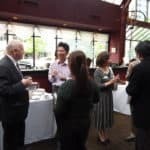 With approximately 90 attendees, this event was also in part held to celebrate the 25th Year Anniversary of Vancouver Japanese Business Association (Kiyukai). 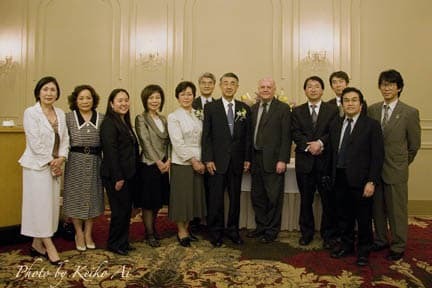 On December 12th, 2011, the JC-COC’s Christmas Dinner was held at Royal Vancouver Yacht Club. 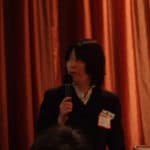 Speaker Profile: Graduated from Aoyama Gakuin University, Faculty of Business Administration. In April 1973, Mr. Akabori joined Nissan Motors. In 1979, he graduated from the University of Illinois-Graduate School of Business, with a MBA. 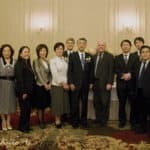 In 1989, he was appointed District Sales Manager for Nissan North America, and in 1997, he was transferred to Nissan Forklift North America located in Chicago, where he served as President. From 2005 to 2009 he served as President of JATCO USA. And finally, starting 2009, he has served as President and CEO of TNC Automotive Inc., Pan Pacific Nissan Richmond & Surrey. 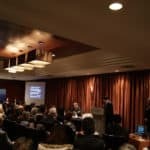 On November 10th, 2011, a crowd of over 110 attendees gathered to hear Mr. Akabori’s presentation. 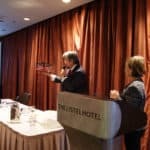 With his wealth of experience and knowledge, the crowd that had gathered eagerly listened on as the CEO & President of Pan Pacific Nissan spoke on a diverse range of subjects from management theories to personal hobbies. 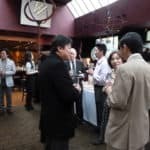 We would like to invite all members to our 8th Annual General Meeting and Networking Dinner to be held on Thursday, August 4th, 2011.